Select Size 24 AWG 22 AWG 20 AWG 18 AWG 16 AWG 14 AWG 12 AWG 10 AWG 9 AWG 8 AWG 7 AWG 6 AWG 5 AWG 4 AWG 3 AWG 2 AWG 1 AWG 0 AWG 3/8" 7/16" 1/2" 5/8" 3/4" 7/8" 1"
Tightly braided fiberglass sleeve completely coated with extruded silicone resin to provide superior electrical and thermal protection. 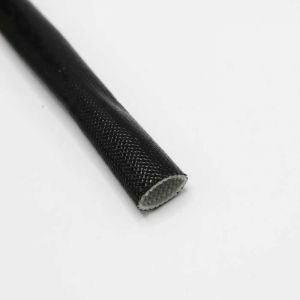 Designed to perform for long periods in a 200°C range without loss of any electrical or physical properties. 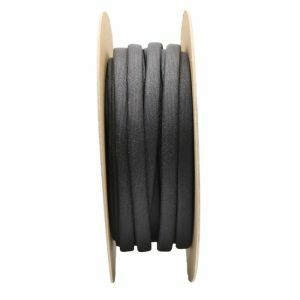 Silicone coated fiberglass braided sleeving is commonly used in high voltage applications such as motors, transformers, welding appratus, coils, and lighting ballasts. 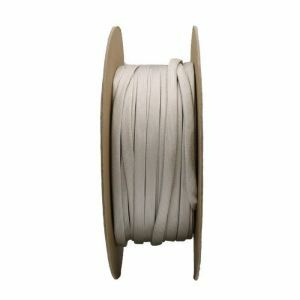 Because of its versatility and 200°C temperature rating, silicone gum coated fiberglass sleeving has also found many uses in insulation of leads and connections in electrical and electronic components ( transformers, coils, relays, solenoids etc.) where temperature extremes from –70 ° C through 200 ° C are encountered. 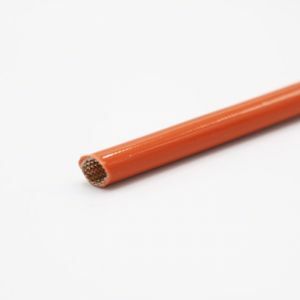 Silicone rubber coated glass sleeving is the only flexible insulating material which can withstand continuous exposure to ambient temperatures from -70°C through 200°C.